LIMITED TERRITORIES NOW AVAILABLE FOR OUR NEWLY DESIGNED LINE. 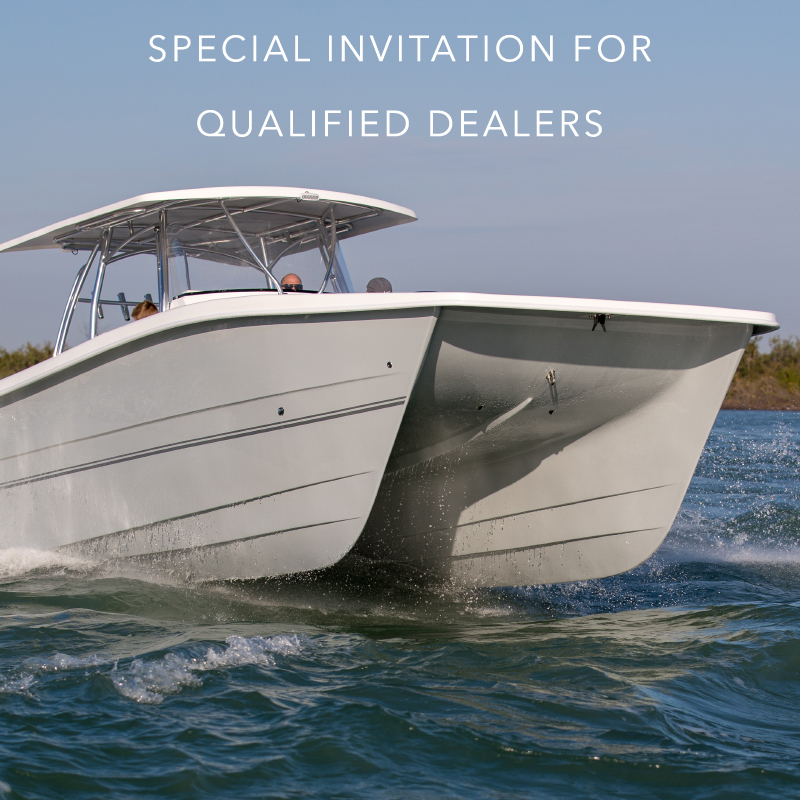 While safety and stability are the hallmarks of the hand-crafted American-made Twin Vee PowerCats recreational power catamaran, our new models, streamlined for speed, competitive angling and recreational performance boating, are why we’re giving competing monohull manufacturers a performance-oriented run for the money. At Twin Vee, we have a limited number of exclusive territories now available. Contact us today for program details. Interested? Act Now! Dealer Incentives Expire Soon. Thank you for your interest in becoming a Twin Vee dealer! A Twin Vee representative will contact you soon to discuss available territories.